C420 EXPRESS ( New Model). The New CARIBBEAN 420 truly something to be seen! 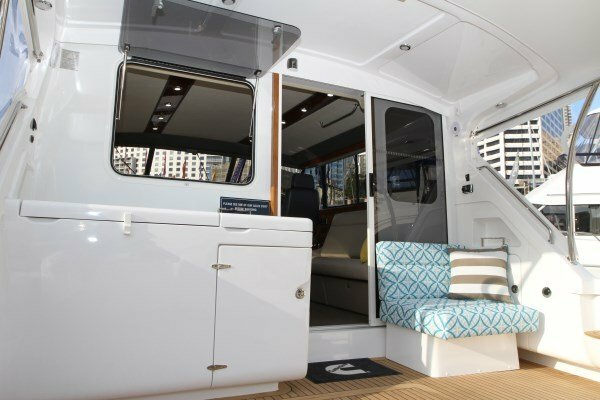 All the best things about a Caribbean remain, with just a few as listed below, but a demand for single level diesel express boats has prompted International Marine to come up with something special again, but without a flybridge! BIG STORAGE AND BIG Beds. 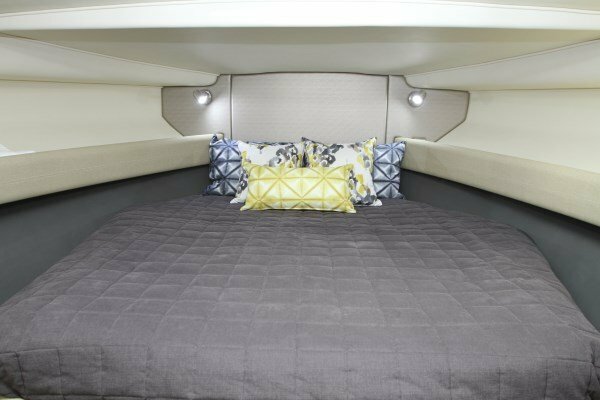 The C40 Express has a few more colour options than available on the flybridge model, with a larger range of soft furnishings and interior features. 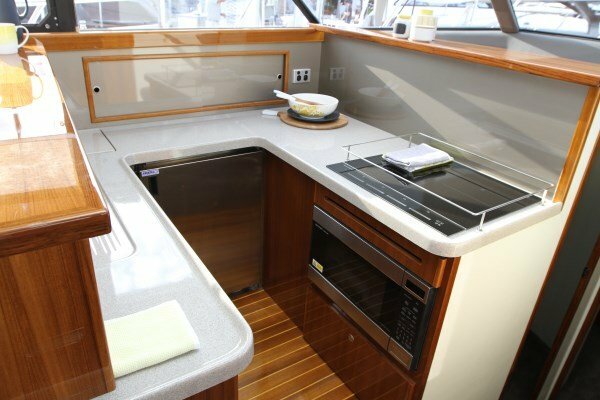 The high gloss teak features and a squared off counter-top profile compliment the quality fittings throughout. The internal fitout is certainly impressive. 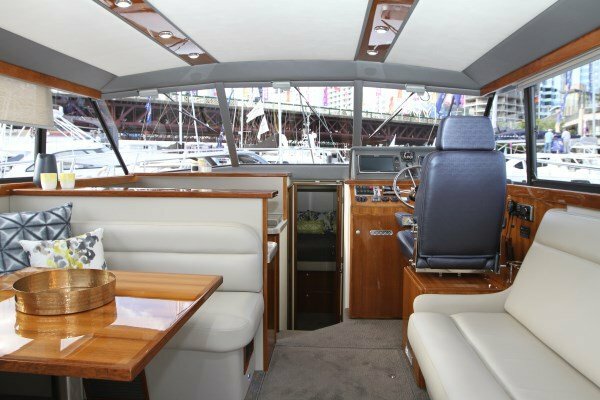 There are 2 x saloon layouts offered within the C40 Express. 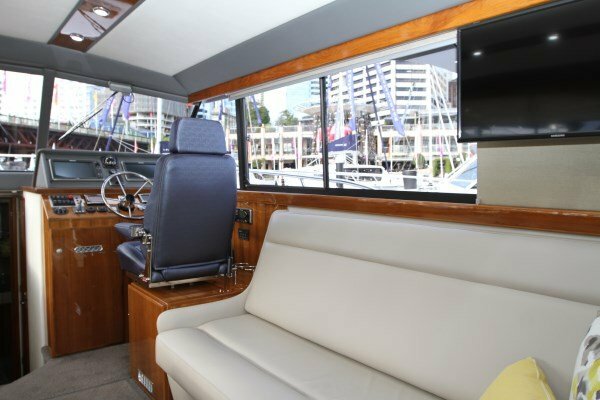 One with a STBD couch that converts to 3 x berths as per the Flybridge model, and a new offering with a long entertainment cabinet to STBD with a large pop up TV. 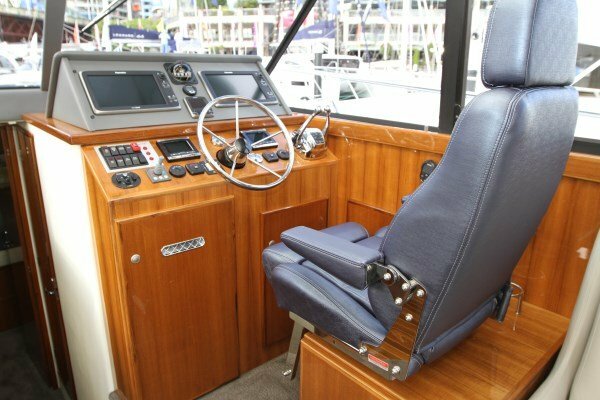 Naturally with the inclusion of the lower helm in the C40 Express, the layout has been restructured, but the open feel and vision from the helm is spot on, whilst sitting in the leather clad luxury helm chair. 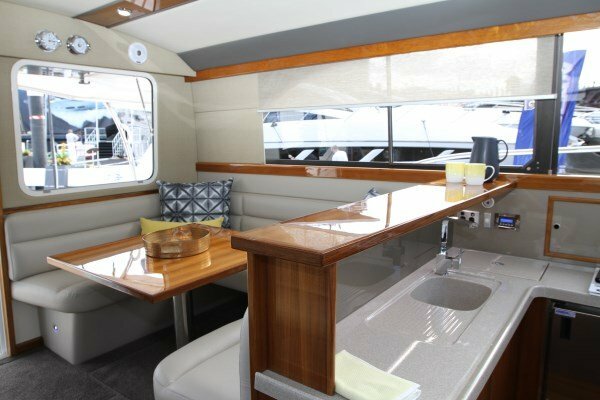 The rear bulkhead houses a big opening window on the Port side, with the sliding door opening to the Stbd side, this opens the whole back of the boat up, for visual purposes and social interaction. 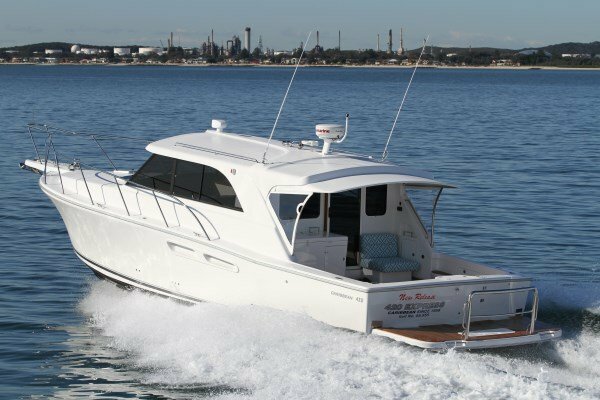 If you are in the market for a thoroughbred sports boat that will take you virtually anywhere, whether it is to the deep dark depths chasing marlin, or to the Abrolhos Islands, or Exmouth for those extended fishing trips, or just to be tucked up in Geordie bay watching the sunsets go by with the family?.... 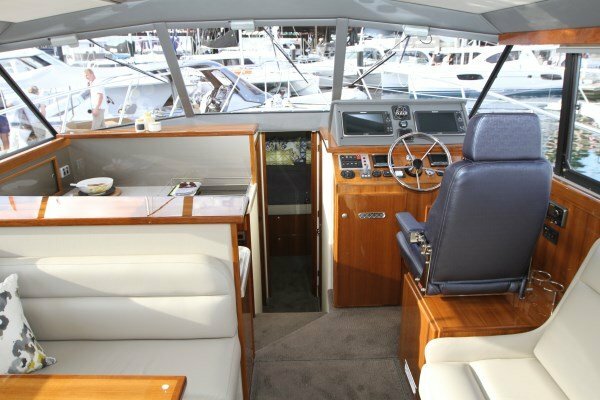 Then this is a boat you should consider. 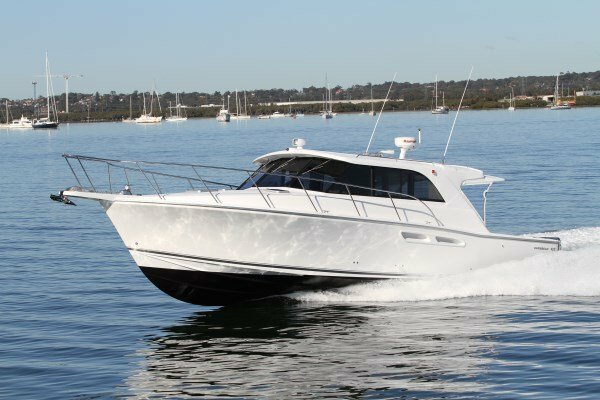 Although hugely popular among WA boaties, not everyone wants a flybridge boat, and some of those people want want a practical boat that is safe, economical and worth something in years to come. Caribbean boats pay you back in so many ways once you start using them. 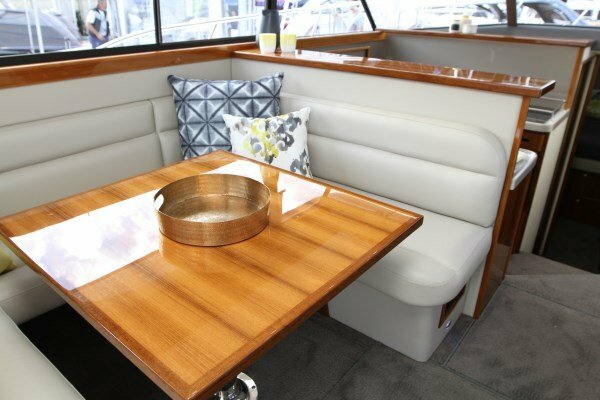 Whether it is the time tested engineering in a CARIBBEAN that is not vulnerable to excessive maintenance requirements and failures, the proven hull shape that is going to ride smooth and dry without the the bashing, crashing and splashing of some others, or the great use of space throughout the boat, with storage and living space exactly where you need it. 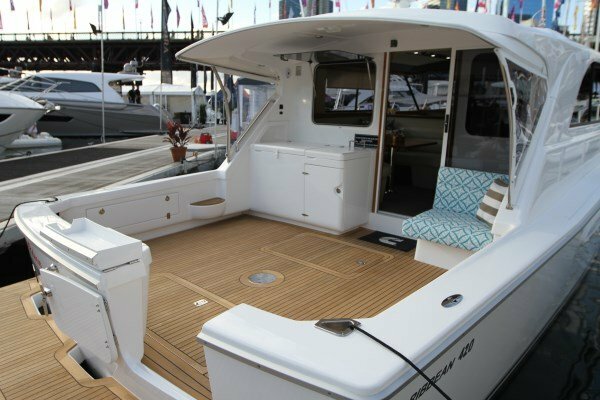 There are many every day things that remind Caribbean owners why they went the smart way with so many other boaties in WA when they chose to buy a CARIBBEAN. 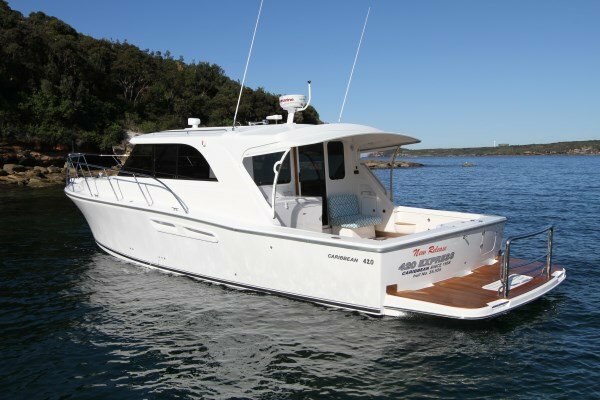 Contact us today to discuss what you need out of a boat and hopefully after seeing what CARIBBEAN boats have to offer, you will see why they are so popular in WA. Choose your colours and options and have it here for SUMMER! Mansfield Marine are truly the one stop shop in boating. We offer in house customisation to your new Caribbean, maintenance packages, driver training, pen set-up, insurance, repairs, skippering services, provisioning and qualified good old fashioned professional service and advice whenever you need it. FOR INTEREST: We have added a few factory photos showing the hull and some major components being built in Melbourne. 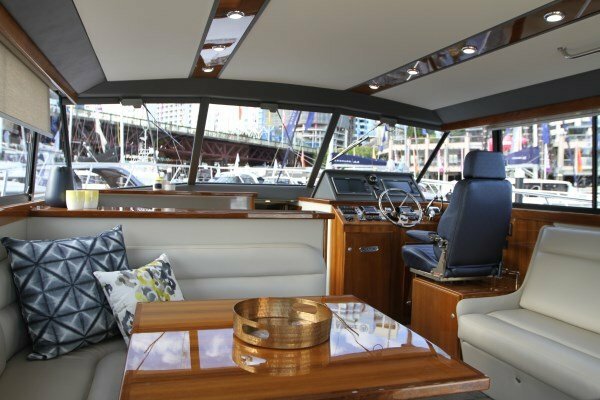 Every C40 hull is hand laminated solid glass construction, with every component weighed to ensure the perfect glass / resin proportion. 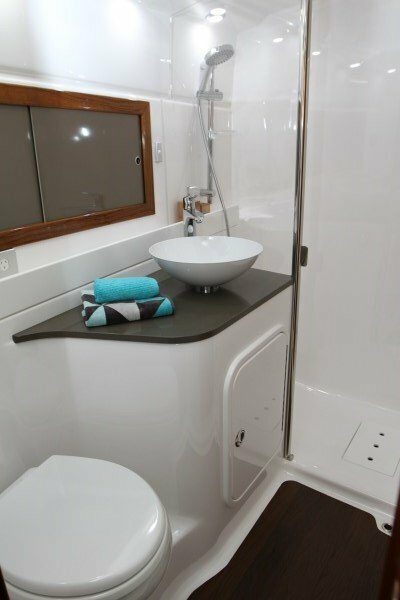 The time tested laminate schedule that is one of the keys to hull strength, is certainly a factor that has kept Caribbean hulls as being so well respected. 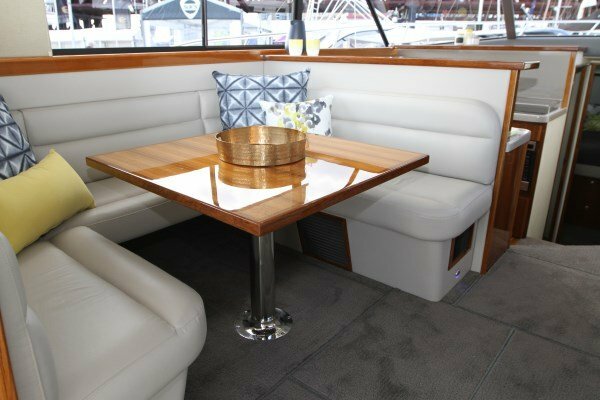 To hand laminate a hull takes far longer than the mass production method of a Chopper Gun lamination, but the final superior product of a hand laid hull is worth the wait. Fuel tanks have extra baffles in them, refrigeration chests have more insulation around them, engine beds have extra strength in them etc. A lot goes into a Caribbean. This price as noted is EX Melbourne, so PLUS transport to WA and options above standard. 2 x CUMMINS QSC 500 HP. Shaft drive with 4 x blade Austral propellers. Exceptional engines that will provide a range of 400-nm with a reserve of 10% fuel. This is based on an actual 4.4 ltrs per NM at any speed between 22 and 26 knots. These engines will run to 32 knots with no trouble. This is a feature of all C40's that owners love. Masses of bench space, BIG Utec refrigeration / fridge and chest freezer, convection microwave / oven combo, and plenty of drawers and cupboards. In addition to the galley Utec Fridge and freezer, there is also a large cockpit Fridge / freezer with fingertip temperature control. There is also an optional ICE maker if you tick the box! Large FWD cabin with queen sze bed. Under bed storage, hanging locker and large side storage pockets. Quality Vacuflush system with 160 ltrs holding tank. Shore side discharge facility or to sea discharge function. 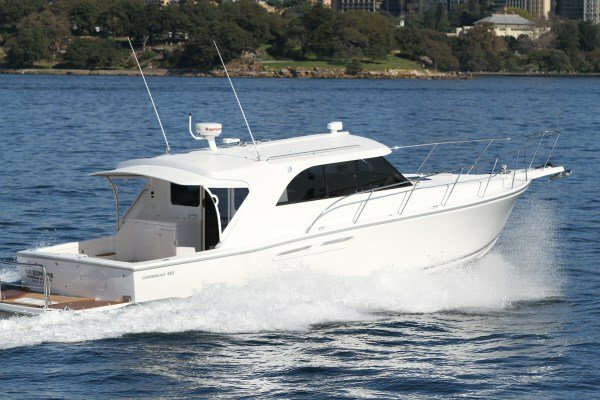 Truly a great boat for all occasions, at a price that is not too big to jump over. 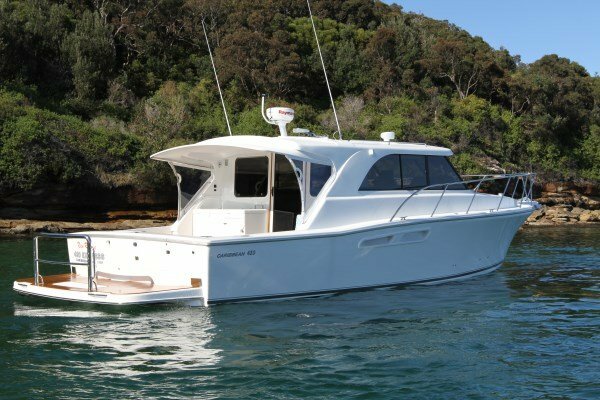 Full dealer support and Australian built by a company that has built more than 50,000 boats in the past 50 years.